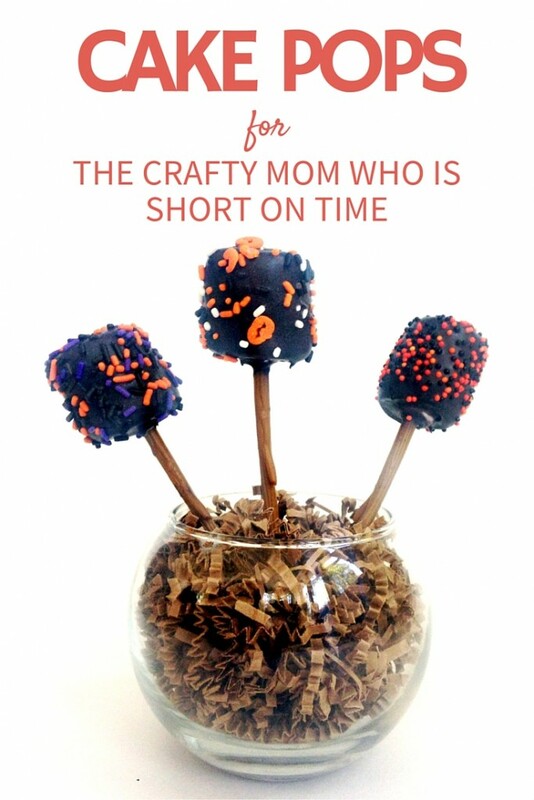 How to Make Cake Pops: For the Crafty Mom Who’s Short On Time! 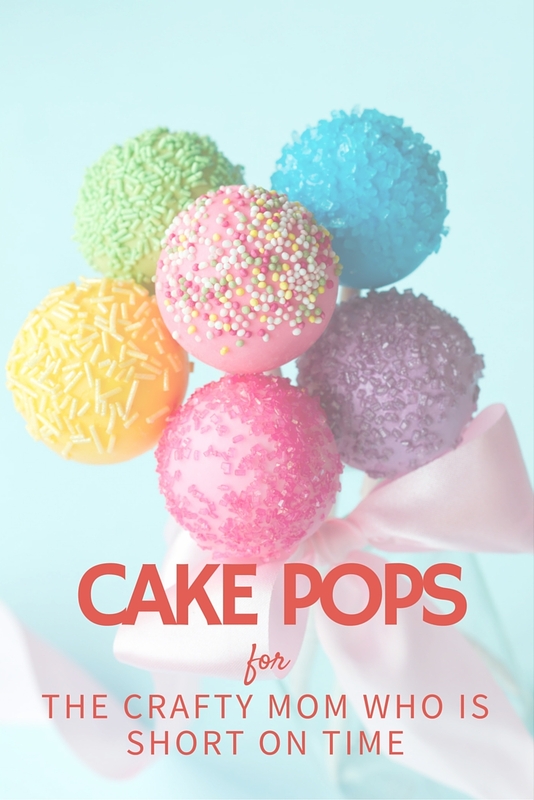 Do you want to make cake pops but feel like you just don’t have the time? I have the solution! 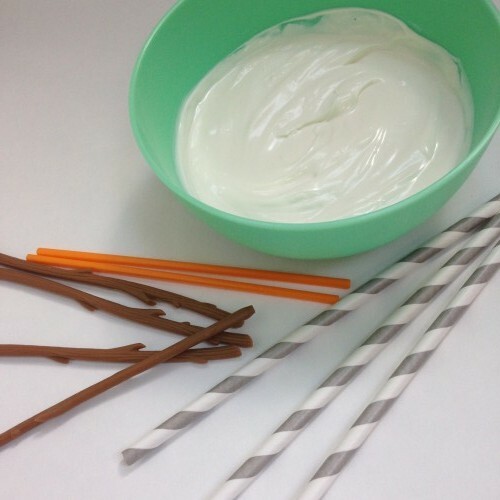 Check out these quick cake pop hacks to make preparing them a breeze! I love to do things like decorating cookies and cupcakes and cake pops! I’m a crafty mom who likes to make fun, cute treats. What I don’t always like to do is bake and wash dishes. I’m crafty but I have a super short attention span. I can bake something really special and yummy or I can decorate the you-know-what out of something. I do not have the time nor the patience to do both. This month I have signed up to bring Halloween treats for both boys classes. 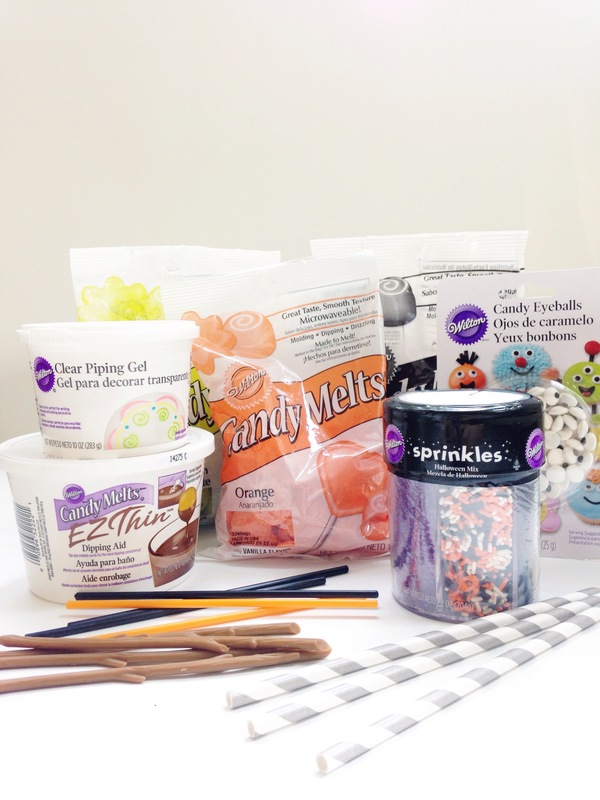 I am going to share with you some easy ways to have fun decorating Halloween Themed Cake Pops WITHOUT all the baking and clean up. I have spent the week in my test kitchen figuring out the easiest, fastest way to prepare and decorate cake pops so you busy, crafty moms can have fun making sweet treats for your littles. 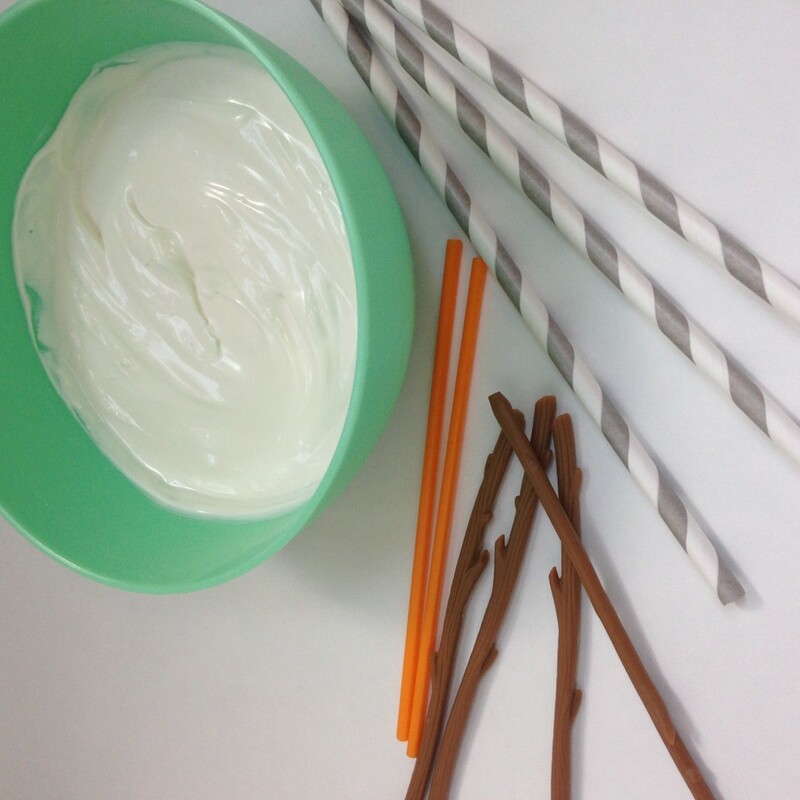 My first recommendation if you haven’t decorated or made cake pops before is to take this free course, The Wilton MethodÂ®: Creative Cake Pops from Craftsy. It is great and very easy to skip around in. It gives you detailed instruction on various decorating methods. The pops she makes aren’t Halloween pops but they are very inspiring! I spent about an hour on a Sunday afternoon skimming through the course. Now that you are ready to start decorating you just have to get your pops made. Here’s where I have been busy researching to make your life easier. The hands down laziest easiest way is to use marshmallows. 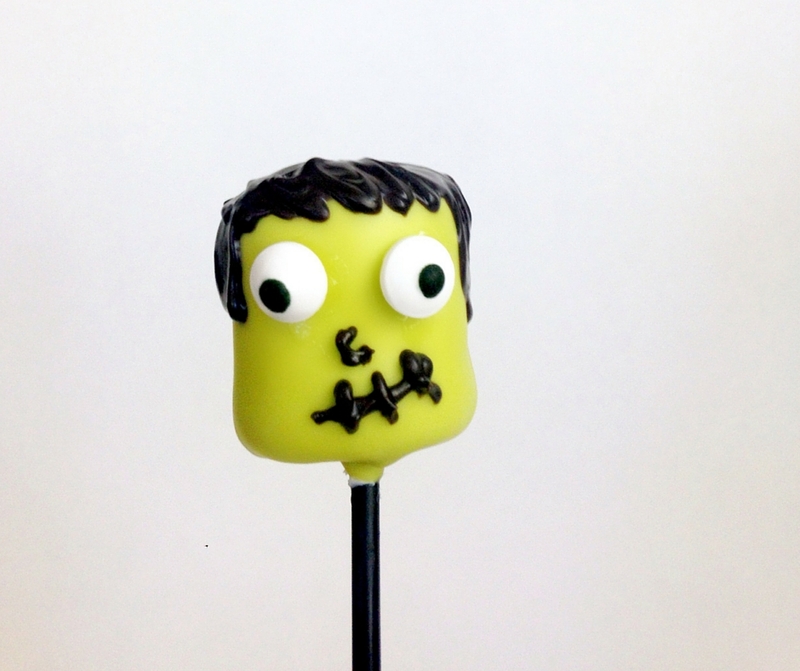 Just grab a bag of large marshmallows and some green candy melts and you can easily make a ton of these adorable Frankenstein Pops! Second up would be to grab some donut holes. All I did was run through the drive through at my local Dunkin Donuts and grabbed 25 assorted munchkins. I wasn’t sure which would make the best cake pop and was worried how the powdered sugar and glaze would affect it. I do not recommend any sugary donut holes. The plain glazed don’t have a good shape either. The best munchkins I found were the chocolate ones. They are a little denser and most are almost perfectly round. I found that I could scratch off any obvious bumps from the glaze and they held up well when dipping. A third idea is to make the cake pops yourself as demonstrated on the Craftsy course. The totally awesome time saver here is to order an 8″ un-iced cake from your grocery store bakery. Make sure it’s two layers so your icing to cake ratios are easy. Then run down the baking aisle and grab a container of buttercream icing, or you can make your own. Either way, this is way easier than baking a freaking cake just to crumble it up! And there is little to no cleanup!! This is the tastiest method. I love real cake pops made from cake and icing! – After melting your candy melts, dip the stick in the melted candy and then insert into your cake pop, donut, or marshmallow. ABSOLUTELY place the pops in the fridge to chill for at least 15-30 minutes before dipping to coat. Do NOT skip this step. – Definitely grab the EZ Thin dipping aid. I always need it and it’s way easier than melting Crisco and works better than vegetable oil. – Make sure to have lots of little bowls. It makes everything go faster and cleaner and you can just throw them away when you are done. I prefer microwave safe glass or plastic bowls for melting the candy, but the paper bowls are good for sprinkling sugar. I hope that these tips make your holidays easier! This was how I applied it to our Halloween treats but I can assure you I will probably be using them for Thanksgiving and Christmas as well!! I would love to hear about your easy tips for making fun crafty treats and would love to see what you come up with. 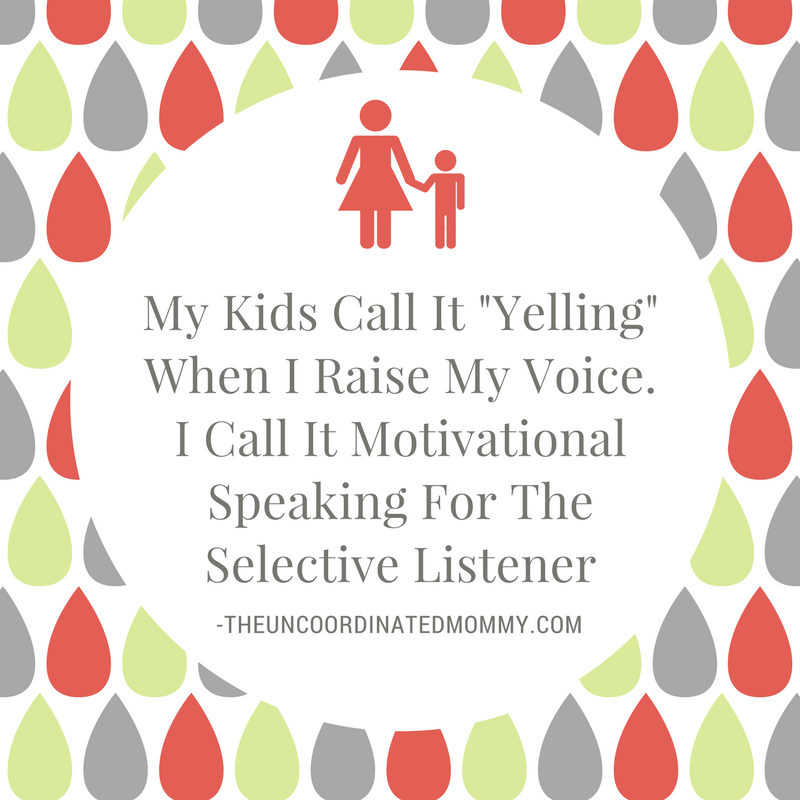 Tag me on Instagram @UnCoordMommy or post your pics to The UnCoordinated Mommy Facebook page.